Samsung is gearing up to hold an event on August 9, where the company is expected to unveil the Galaxy Note 9. But that won't be the only new product unveiled at the event. After evidence of a Samsung-made dual-wireless charger popped up, the unannounced product made an appearance at an unlikely event: an Amazon holiday preview party. 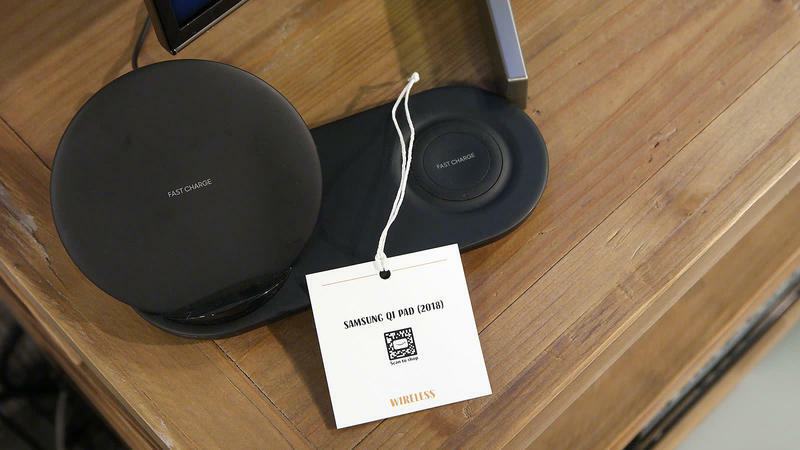 Gizmodo attended the event, where the outlet spotted the Wireless Charger Duo conspicuously sitting on a table. The wireless charger is said to be powerful enough to charge two phones at once; or, if you prefer, your phone and your smart watch. With the Note 9 on the horizon and a rumored Samsung Gear smartwatch also rumored for release, the charger starts to make a lot of sense. You'll need something to keep both of Samsung's new devices powered. As Gizmodo's images clearly show, Samsung's new wireless charging pad features one flat surface and one that's angled, the latter of which will allow users to more easily use their phone while simultaneously charging it. Samsung's new duo charger also supports Fast Charge technology, and can be connected by a single USB-C cable. Samsung already offers some of the best wireless chargers on the market, and the new Wireless Charger Duo seems like its best yet. We'll get more information at Samsung's August 9 event.